The spy was peeping through a small hole in the wall. The children put their heads around the kitchen door to peep at the visitors. A few snowdrops were just peeping up here and there below the trees. The sun peeped above the horizon. A quick peep was enough to convince Mark that the danger had passed. The schoolchildren were crowded round the window, trying to get a peep of their new teacher arriving. I knew the eggs had hatched when I heard a series of peeps coming from the tree. The teacher told the class she didn't want to hear a peep out of them until they'd finished their work. You can hear both peek-a-boo and peepers, meaning eyes, in the lyrics. As a noun, peep can be used specifically to talk about the first appearance of daylight. So you might say, “We were up at the peep of dawn to start our long journey.” This use of the term is less common now, but you might still hear it sometimes. To peep, meaning ‘to look at something’ (especially through a small opening), dates back to the mid-15th century. Its origin is uncertain, but some linguists believe it could have emerged as an alteration of the verb piken (which gave us the verb peek, with a similar meaning as peep). 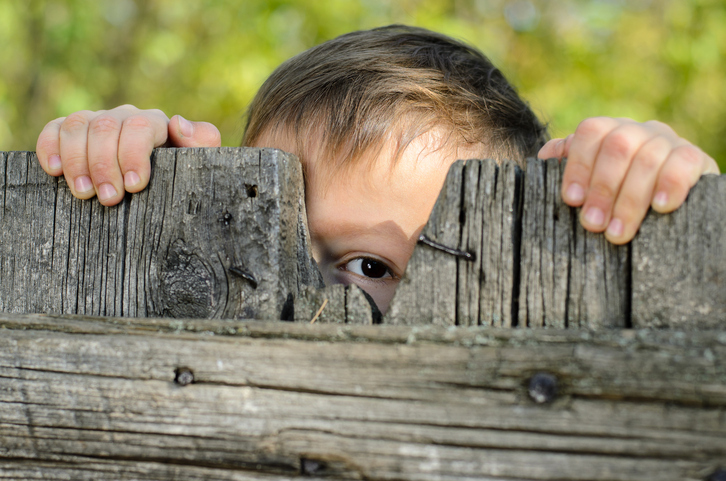 The origin of peek is also uncertain, though some linguists think it may have come from the Middle Dutch kieken. This is supported by the fact that until a few centuries ago, peek, peep and keep were used interchangeably. The noun, which comes from the verb, and originally meant ‘a furtive look, as if through a small opening’ or, more specifically, ‘the first light of day,’ dates back to the early 16th century. The meaning had expanded to ‘a quick or furtive glance’ by the early 18th century. To peep, meaning ‘to make a weak, high-pitched cry’ (usually in reference to baby birds), dates back to around the year 1400, and is probably an alteration of the Middle English verb pipen or pepen (13th century). Its origin is probably imitative, so we can find many similar examples in other languages, such as the Dutch and German piepen, the Old French piper, the French pepier, the Latin pipāre, the Greek pippízein, the Czech pípat and the Lithuanian pỹpti, though they are not actually related. The noun comes from the verb, and dates back to the early 15th century. The figurative use of both the noun and the verb became common in the early 20th century.